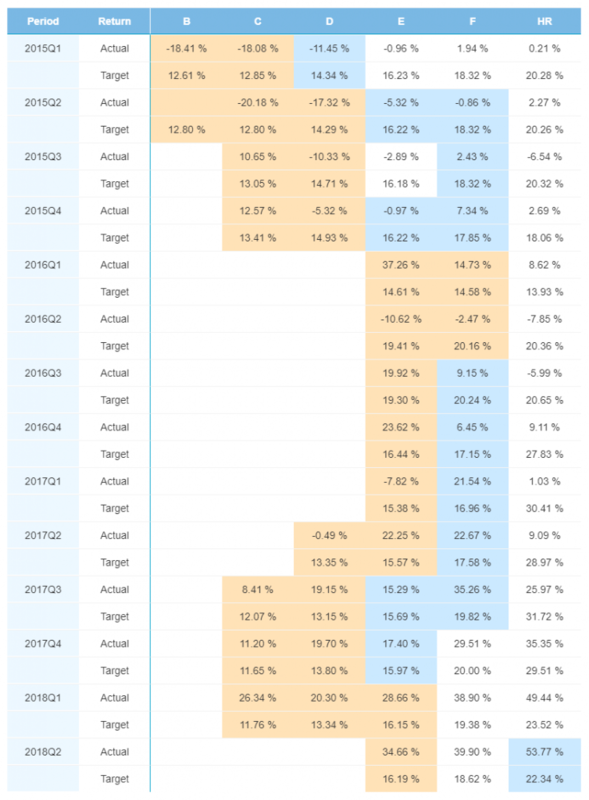 Another month of peer-to-peer lending down, and it is time to look at the quarterly portfolio performance of Bondora loans. As always, loans issued recently will have skewed return numbers and should be taken with a grain of salt. Colors on the charts to follow represent the number of p2p loans issued over the given time period, with Orange representing <50 loans, Blue 51-200, and White >200. 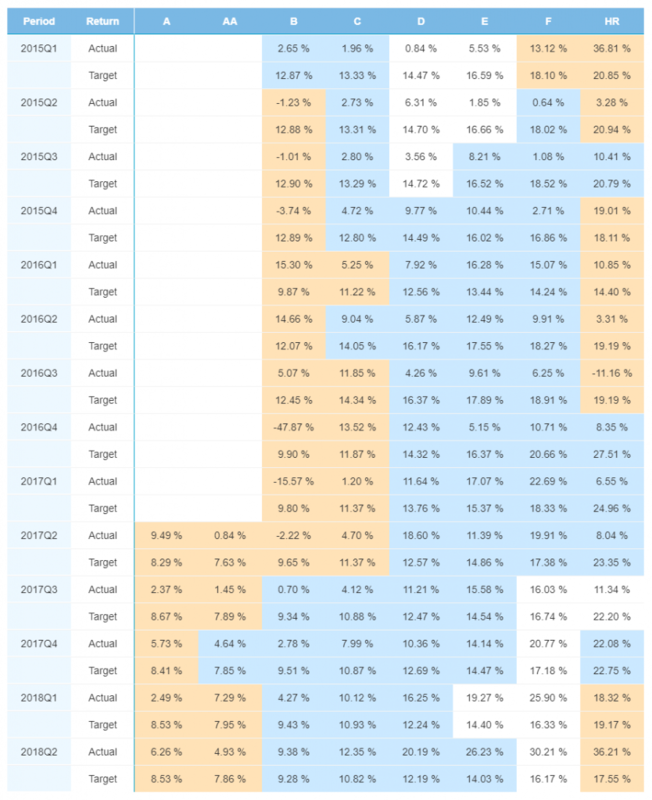 Always make sure to take into account the number of loans issued over a period when analyzing any return information, as lower loan issuances can often result in skewed data. Yearly returns are highest across the board in Spain for the past two years, as the Spanish economy continues to rebound after many years of hardship. This swing can be seen in the interest rate return numbers for Spain, which had the highest overall return overall return at 34.6% for 2018. It should be noted that this is representative of a significantly smaller sample of loans compared to Estonia and Spain. Estonian loans have been holding steady, and mostly in line with their target rate for loans issued. Of these most recent years, rates have consistently been above 12%, peaking at 25.7% in 2010. Finnish loans have performed lower than their target rate except for loans issued this year (most likely due to the recency of issuance). These loans have recorded single digit returns for investors dating back to 2013. 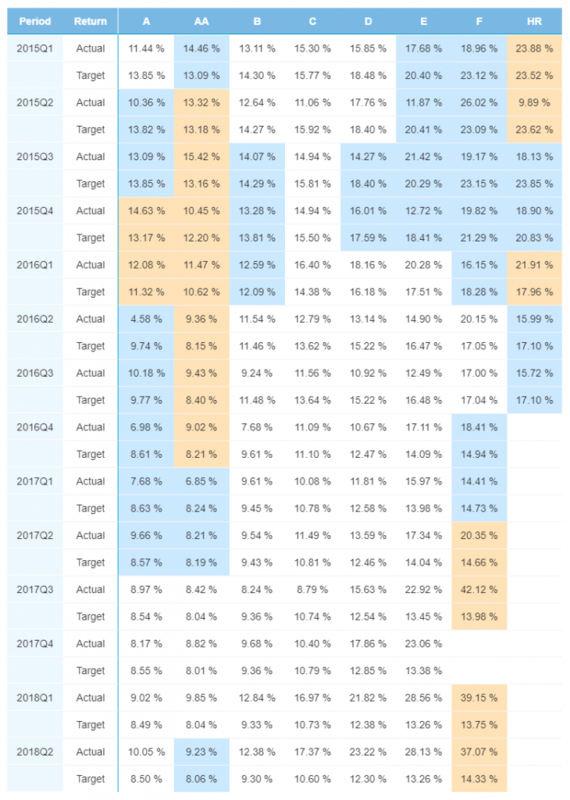 It appears the highest performing quarter across the board is Q4 for 2017 and 2015, compared to Q1 in 2016. Discounting the last 3 quarters for recency bias, the highest returning quarter remained Q1 2016 at 13.7%. Finnish loan issuances were the same in almost every category across the board, except for E rated loans which had less issuances over Q2 as compared to last quarter. Low returns for A and B rated loans in 2015 and 2016 can be attributed to a small sample size of less than 50 PCS per credit rating. Alternatively, loan issuances of over 200 PCS in the past year have performed very well, with returns between 11.34% and 30.21%. Estonia is the only country where AA, A, and B rated loans have been issued each quarter for over the past 3 years. 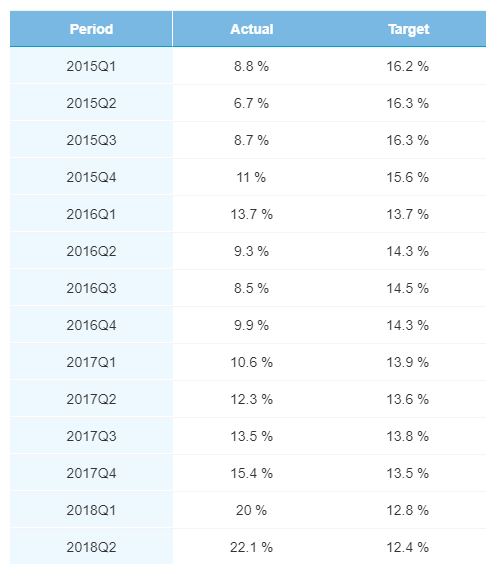 A rated loans have actually outperformed AA rated loans in 6 quarters since the beginning of 2015, and even outperformed B rated loans in 4 quarters over the same period. The highest return rate for Estonian loans came from F rated loans in Q3 2017 which returned 42.1%. Meanwhile, Estonia returned no loans (in total from a specific credit rating) at a negative rate, with the lowest return rate being 4.58% in Q2 2016. Less Spanish loans were issued in Q2 2018 than any previous quarter, creating potential outliers in the most recent data set with significantly higher returns on E, F, and HR rated loans. Loans from 2015 have the lowest overall return rate while returns significantly recovered the next year, returning as high as 37.26% in 2016. Economic indicators in the countries which Bondora sources peer-to-peer loans play a pivotal role in the prospects for consumers to pay back their loans in a timely manner. Solid economic and job growth in these countries will aid in the financial prospects of citizens. The Spanish economy continues to be hampered by slower than expected economic growth which has made it difficult for its citizens to find decent paying jobs. In fact, a new class in the country labeled the, “working poor” are able to obtain employment, but are paid wages below the poverty line. There is, however, good news on the horizon for Spain. The country is continuing to strengthen its relationship with Cuba which is likely to lead to greater exports and economic benefits. Additionally, the country’s economy is set to grow by 2.6% this year and 2.2% the following year, pointing to signs of better days ahead for its citizens. Growth in Estonia was recently revised downward to 3.6% for 2018, with an expected 3.5% growth rate expected for next year. A labor shortage in the country has put constraints on its economic growth, but is likely to provide high-paying, skilled jobs to those in the country who seek such opportunities. Consumers in Finland are optimistic about their prospects, as the country’s consumer confidence index rose for the first time in 6 months. Residents of Finland expect their earnings to be higher and allow for greater savings potential in the coming years.